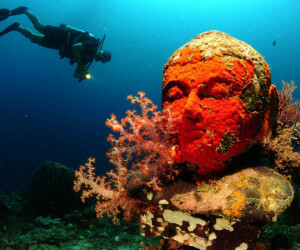 Bali has wonderful dive sites, such as the amazingly clear (50 metres clarity) waters around Menjangan island. The famous Tulamben, located near the Gunung Agung volcano, is known for its black volcanic sands as well as the world-renowned SS Liberty American ship wreck from World War II. Canyoning means following a water course. In some parts of the canyon itinerary, swimming depend on water levels (when there is no water, you descend a dry canyon) determined by the wide range of gorges, ravines or waterfalls. 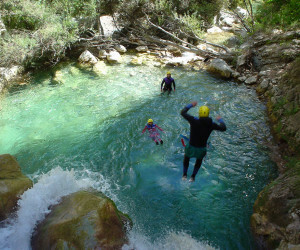 Canyoning is suitable for everyone in a good health and able to swim 25m, between 6 to 65 years old. Bali has a few whitewater rivers: Ayung, Unda, Balian oraz Telaga. 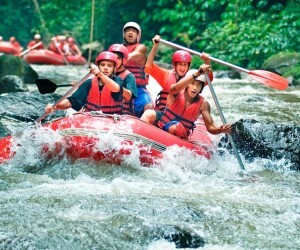 Whitewater rafting will ensure lots of adrenaline. A rafting excursion along the Ayung River runs through deep valleys, rice fields and ends in thick jungle. 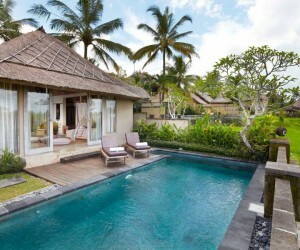 It lets you view Balinese country life, which is concentrated by the river. Bali has magnetic waves that attract the world's surfers. The waves by the island's west coast (e.g. in Kuta) are calm enough to start learning surfing. Hiring an instructor for an introduction will help you discover the basics. A half day easy cycling adventure with a glimpse of Carang Sari village on the outskirts of Ubud. 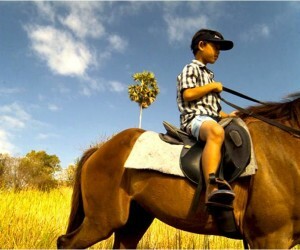 Pedal across the rice fields to arrive at the Sangeh “cheeky monkey” forest. 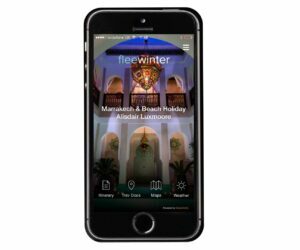 A perfect holiday experience. 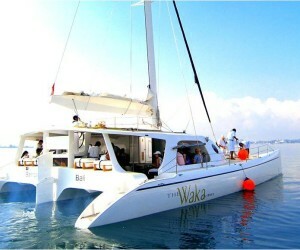 Set sail onboard The Waka, a 16 metre sailing catamaran, and head to Nusa Lembongan. Spend the day enjoying a variety of water sport activities or simply relax on the beach with a delicious beach barbeque included. Have you ever felt like walking at the bottom of the ocean and seeing what goes on down there? Now….. you can do it. 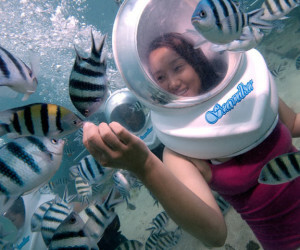 You can walk right on the bottom of the ocean and view all kinds of amazing sea life. With this unique diving system, you will be able to experience a dive down deep. 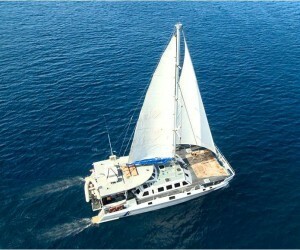 journey to Komodo Island sailing the Flores Sea. 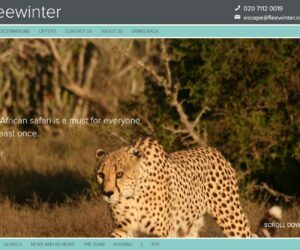 Ideal for couples, adventurers and marine-life lovers. 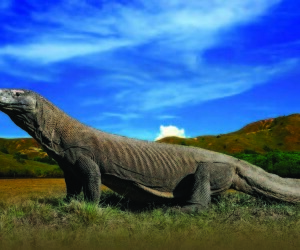 The journey starts with a direct flight from the tropical island of Bali to Labuan Bajo and continues by sailing via Rinca Island, where Komodo dragons reside, to East Sumbawa in the Flores Sea. 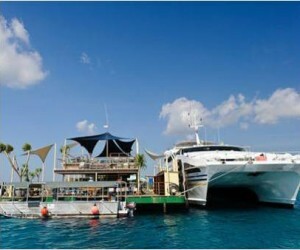 Drift away under the sun as you set sail to Nusa Lembongan for a day cruise. Enjoy full access to the private beach club with included activities such as snorkelling, glass bottom boat ride, island tour and banana boat rides. 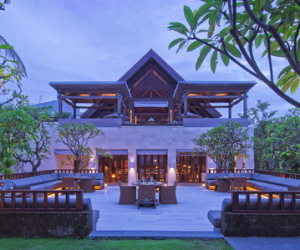 Escape Bali to this haven of tranquillity. Experience Bali's fastest and most exciting full day cruise as you discover the magnificent sights of Bali's three sister islands - Nusa Penida, Nusa Cennigan and Nusa Lembongan. 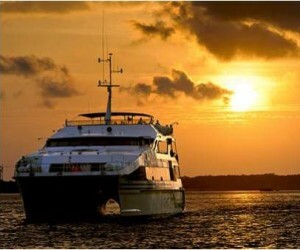 Dance the night away under the stars with this exclusive Bali sunset cruise. 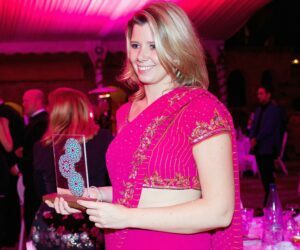 Setting sail at sunset, you’ll be treated to a refreshing cocktail and delectable canapés while an on-board DJ spins fabulous lounge-style music.